With today’s marriages crumbling at a near 50 percent rate, the age-old question, “Can this marriage be saved?” is on the minds of millions. Here in the U.S., nearly 700,000 people seek marital therapy every year. While some are looking to fine-tune a marriage that is, in many ways, healthy and intact, most are couples in trouble, fearing their situation is beyond help, that it’s too late, or that they have married the wrong person. 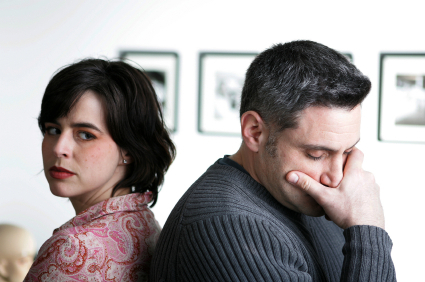 Many fear that divorce is the only way out of their difficult marriage. All have discovered that it’s much easier to get married than it is to be married. Despite overwhelming evidence to the contrary, most of my clients still come into therapy believing that marriage should be easier than it is. I hear it every day: “If it’s this hard,” people say, “something must be wrong.” Many feel terribly alone, believing they are the only ones struggling. They think that if they just did the simple things they were supposed to do— the things all the successfully married people must surely be doing—their marriages would be fantastic, too. And most are convinced that if their partner weren’t so difficult, everything would be fine. The truth is, married life is a challenge for everyone, without exception. None of us come into marriage with all the tools we need for success, nor do we have a guidebook or a road map to make our journey easier. So marriage ends up being much harder than most of us expected. But that doesn’t mean something is wrong; it simply means that marriage is a tough teacher and we all have something to learn. As a psychotherapist with more than thirty years of clinical practice, I’ve seen all the classic issues that people encounter in their relationships. I’ve seen what creates change, and what impedes it, what makes marriages thrive and what makes people miserable. And time and again I’ve seen couples give up on marriages that could quite likely be saved had they been given the proper guidance and encouragement to do so. This blog will explore intimate partnerships from a variety of angles, with the overall goal of helping people make sense of why marriage is so predictably difficult, frustrating, and seemingly impossible to navigate. While I have no quick-fix solutions to offer, I have plenty of tried and true ideas about what couples can do to create a marriage that is more sane and more fun; a marriage that not only lasts, but serves as a source of great joy and self discovery. LISTEN TO MY INTERVIEW ON HUFFPOST LIVE!